Longing to give that tasteful Christmas jumper an outing? The BADCASS Festive Cider Tasting is back - join us in your best festive knit to sample some top ciders! This event is kindly sponsored by Sheridan Maine. Your BADCASS committee and Sheridan Maine. Ever thought about working overseas? The Cayman Islands, with its endless beaches, year-round tropical temperature, diverse wildlife and varied culture, is a thriving Caribbean hotspot. It’s also one of the world’s largest financial centres and KPMG is recruiting staff from newly qualified through to management level for its prestigious office there. Come along too If you’re not yet qualified but interested to hear about future options. 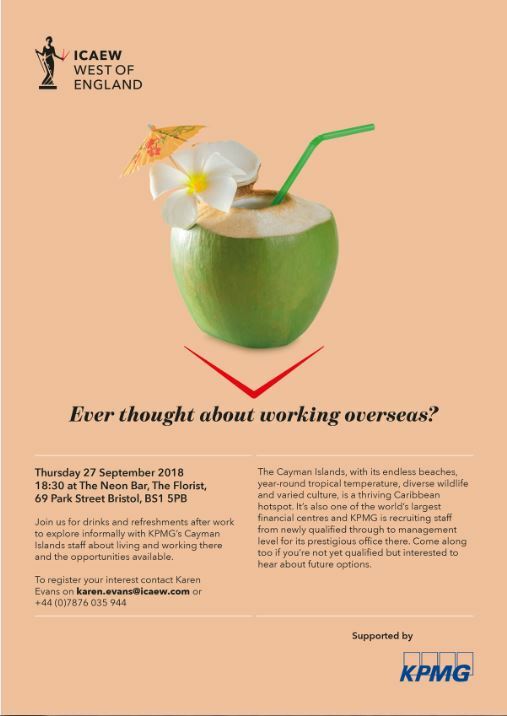 Join us for drinks and refreshments after work to explore informally with KPMG’s Cayman Islands staff about living and working there and the opportunities available. TGIF! 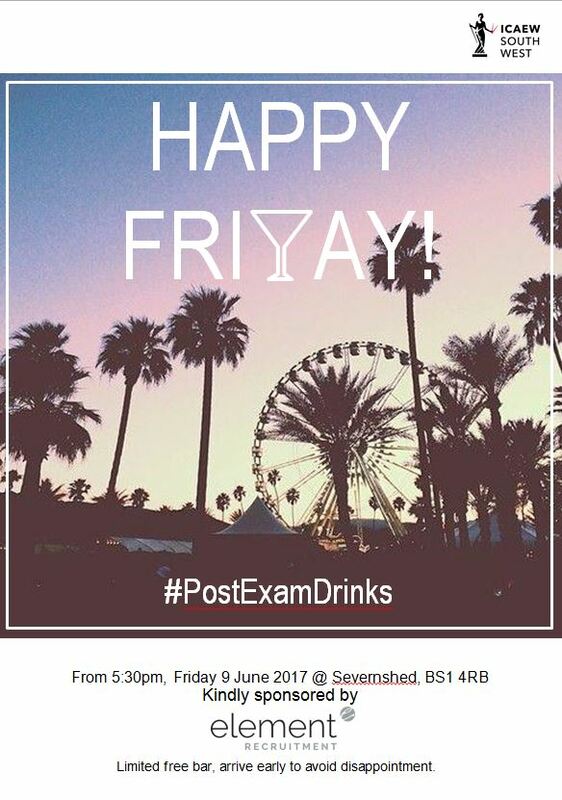 To celebrate the end of the exams, we will be holding post exam drinks at Veeno, BS2 0EL tonight from 17:30. 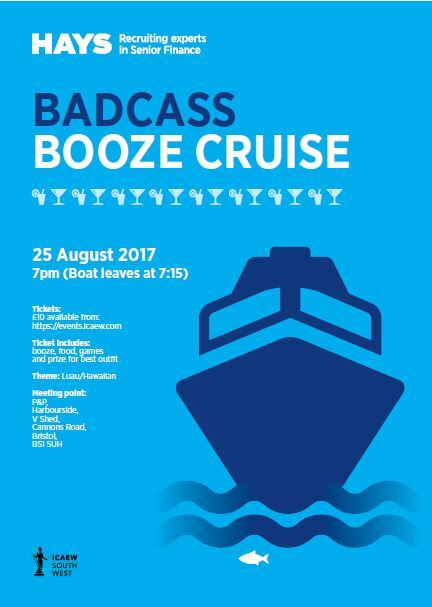 There will be two free drinks for the first 75 attendees kindly sponsored by Michael Page; please arrive early to avoid disappointment. your BADCASS committee and Michael Page. To celebrate end of Advanced exams in July and for a general social, we will be holding our Summer BBQ at The Avon Gorge Hotel, Private Garden, BS8 4LD on Wednesday 25 July from 18:00. Please note: this event sold out last year and tickets are limited, so please book early to avoid disappointment - NO TICKETS WILL BE AVAILABLE ON THE DOOR. Huge thanks to Esther Leung, James Harris, Aine Tulley, Harry Cole, Lara Parkinson, Lucy Painter and Clare Martin for all your contributions throughout 2017/18. Looking forward to another great year ahead! Say Aloha to a Bristol Luau! Make a splash at our Hawaiian bash - get out your grass skirts, Hawaiian shirts, beach hats and flower garlands and join us on our annual boat cruise along the Avon. We’ll be meeting at Pitcher & Piano, Harbourside from 18:30 and the boat will leave from the waterfront at 19:15 promptly. Please allow time for registration. 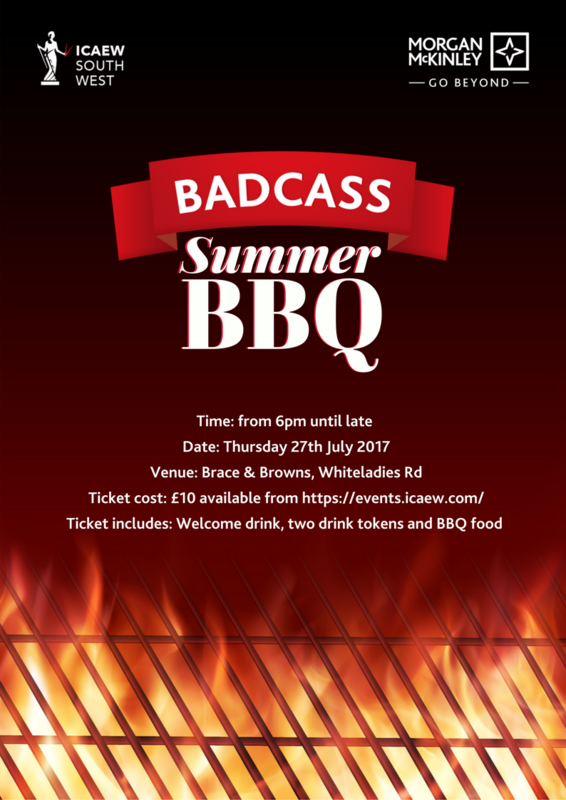 We can’t guarantee a heatwave, but we can guarantee you’ll have a great evening at our summer BBQ which is being held on Thursday 27 July 2017 at Brace & Browns, Whiteladies Road. Tickets are £10 and available from https://events.icaew.com/. Tickets are limited so make sure you book early to avoid disappointment! The evening is very kindly sponsored by Morgan McKinley. We're all really looking forward to organising some great events for all our member this year! Please check out our committee page to find out more about us. Don't forget, its never too late to join the committee so if you're interested in joining please contact us.